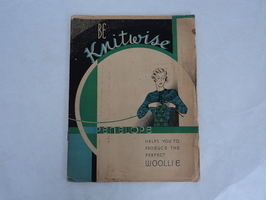 Education booklet produced by the Associated Woollen and Worsted Textile Manufacturers of Australia, c.1955. Education booklet produced by the Associated Woollen and Worsted Textile Manufacturers of Australia, c.1955. 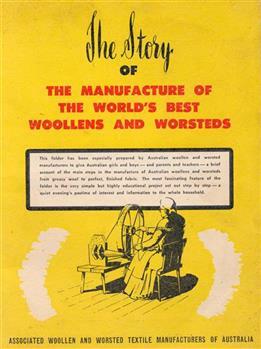 Educational folder, "The story of the manufacture of the world's best woollens and worsteds" - Associated Woollen and Worsted Textile Manufacturers of Australia, c.1955.